Helichrysum italicum is also known as curry plant. It is extremely beneficial for healing purposes as it contains Helichrysum, which has a high percentage of anti-inflammatory sesquiterpenes (Nearly 50%). 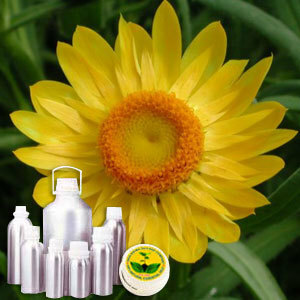 Helichrysum Therapeutic Grade Oil recommended due to its various therapeutic properties which include - Anti-catarrhal, anti-inflammatory, antimicrobial, antiphlogistic, antiseptic, astringent, balsamic, carminative, cicatrisant, emmenagogue, expectorant, fungicidal, sedative, digestive and pulmonary stimulant, stomachic, tonic, uterine and vulnerary.